Corporate volunteering is all about engaging employees of a company into a non-profit activity for the local community. Employees offer various kind of works for the people in need, using their time, skills and developing their competences and interests. The company supports its employees by e.g. delegating them to volunteer work in business hours. Apart from the core goal that is helping those in need, corporate volunteering also improves the communication between the company and its surrounds by strengthening relations with the local community. Simultaneously the company builds its positive image as an employer, who is socially responsible. Volunteering programs are run by Habitat for Humanity since the beginning of its activity in Poland. 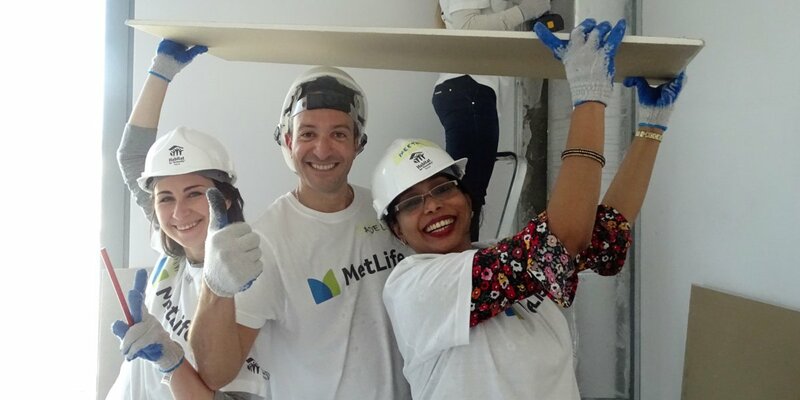 Every year hundreds of employees participate in volunteering events at construction and renovation sites, providing help with work, which does not require high qualifications. This is how classic teambuilding gets more value and dimension. If you wish to learn more about our corporate volunteering offer, please contact our Fundraising Manager Justyna Kalita (jkalita@habitat.pl).